In April 2011 Brisbane’s Thomas Calder, gathered all the gear he could find, and recorded mini-album “Bleeders” in his Brisbane home, releasing it under the moniker The Trouble with Templeton. In June 2012 the act underwent a spectacular transformation, emerging as stunningly beautiful 5-piece band, with Hugh Middleton (guitars), Betty Yeowart (keyboard), Sam Pankhurst (bass) and Ritchie Daniell (drums) complimenting Calder’s emotive vocal and songwriting with a collaborative, self-assured sound that has become greater than the sum of its parts. Created with the help of Brisbane producer Matt Redlich (Emma Louise, Hungry Kids of Hungary), the new album “Rooke” marks the arrival of a band truly comfortable in their own skin. Shedding all preconceived notions of genre or style, “Rooke” is uncompromisingly and uniquely Templeton, the result of a band passionate about only creating music they truly believe in. 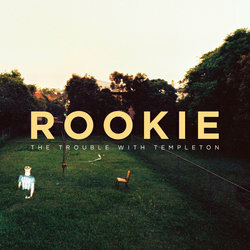 As aggressive as it is tender, as light as it is dark, full of bold storytelling and ultimately a journey of perspective, “Rooke” is The Trouble With Templeton at their truest. Fifth single from album "Rookie"